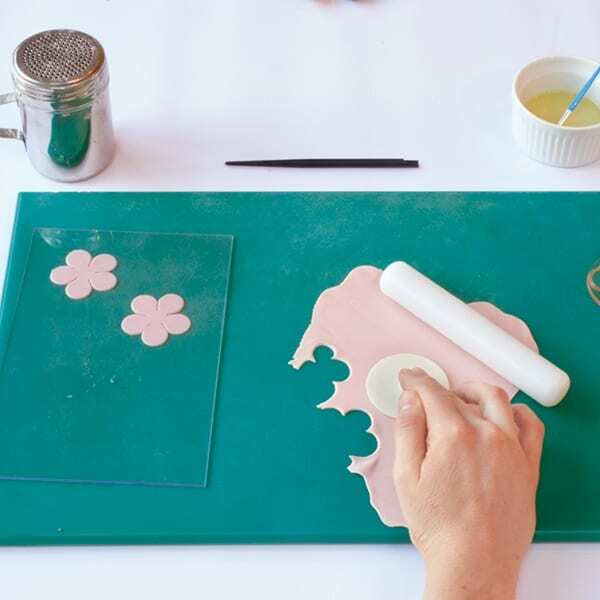 Learn how to make sugar paste flowers with cakemaker Kat Silverfield’s step-by-step guide. This is a tricky technique and it takes time, but with practice you’ll become a whizz at it! Once made and dried, the flowers will keep for months in an airtight box, (in a cool, dry place), so you can build up your stash over time. 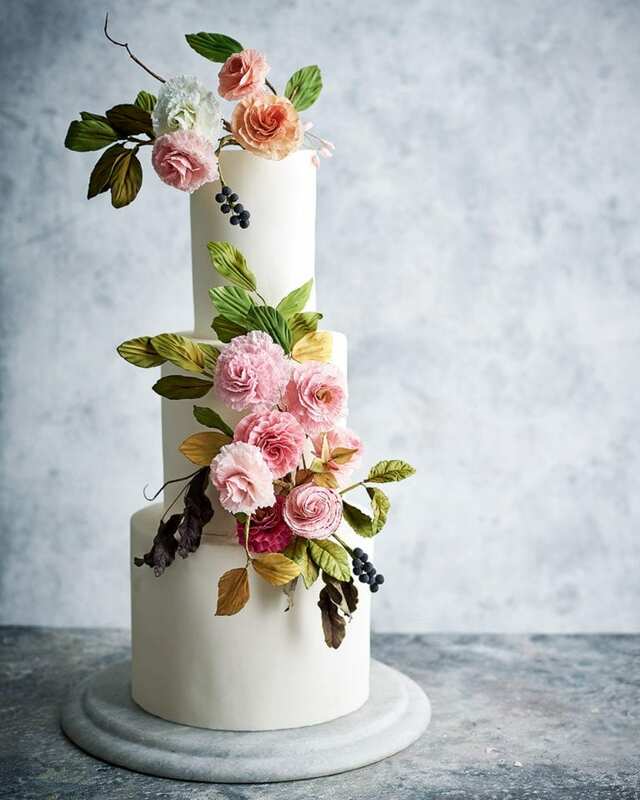 Kat is known for her beautiful wedding cake creations. She also writes lifestyle and travel pieces for delicious. It’s easiest to source all you need online: try squires-shop.com or cakecraftshop.co.uk. 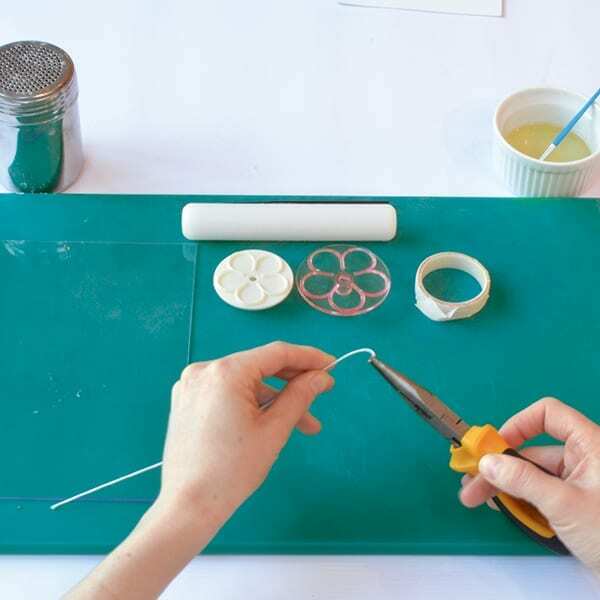 1.Begin by cutting a 20cm length of florist wire. Bend the tip over using long-nose pliers to create a loop or ‘bud’. Wrap the wire in florist’s tape, including the bud. 2. Knead a 30g piece of florist paste with a small dab of Trex for 1 minute, then roll it out thinly on a non-stick cake board until almost transparent. 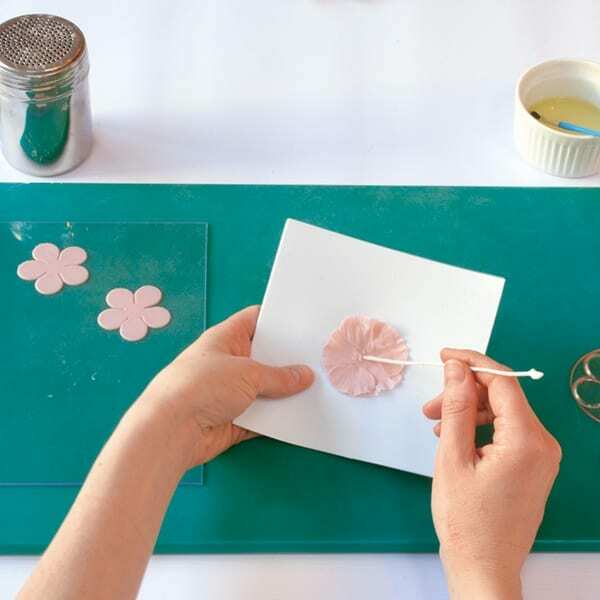 Using the 50mm flower cutter, stamp out 3 shapes. Put 2 under the plastic mat/in a plastic bag. 3. 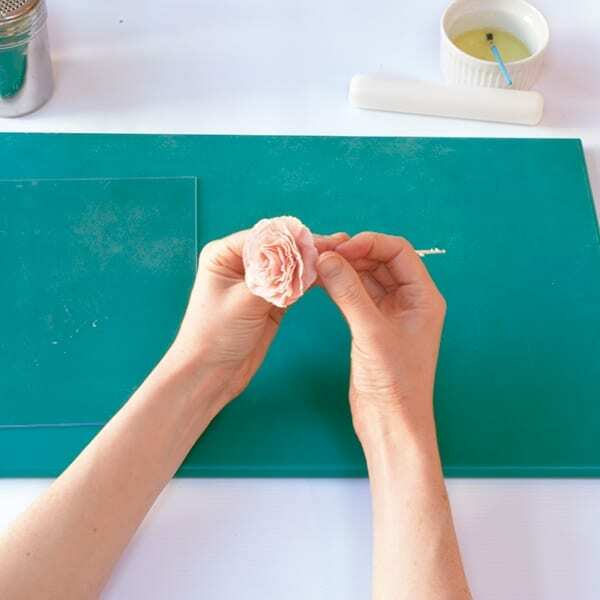 Take the veining stick and put it firmly flat in the centre of a petal, then roll it to one side, then the other, maintaining the pressure the whole time. 4. To get a ruffled look, bring the tip of the veining stick to the edge of the petal and roll side to side until the desired ruffles are achieved. white, then insert your florist tape-covered wire with bud into the centre. 6. Choose one petal from the flower and brush halfway up its length with egg white. With the wire and bud sticking out about 2cm, bring the far side of the petal anticlockwise around the wired hoop. Secure it to the bud and more loosely curl the other half of the petal clockwise around the bud. Working clockwise, brush the bottom half of the next petal with egg white. Slip the petal inside the first petal, then curl it around and repeat this process with the rest of the petals, creating a spiral. Be sure to secure the lower half of the petals as you make your way around. Repeat from step 3 with another reserved sugar paste flower, then the final flower, and let it dry for a few hours. 7. 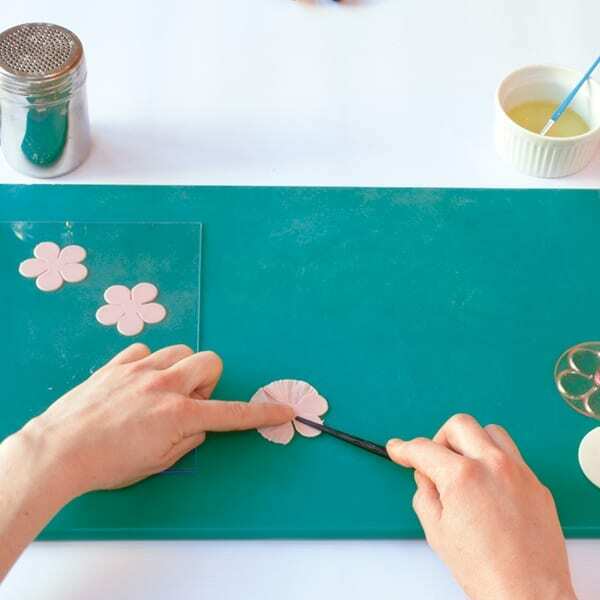 Roll out more sugar paste and, using the larger 60mm cutter, punch out 2 sugar paste flowers. Repeat the veining, frilling and spiral process with these larger flowers. 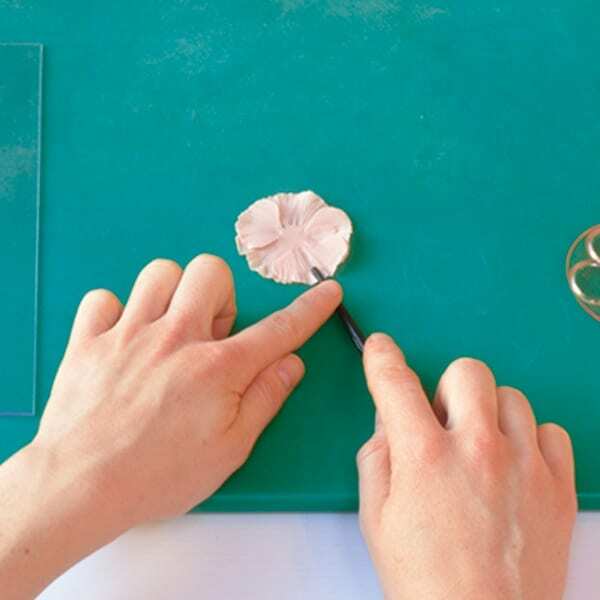 Once all 5 flower layers are mounted on the wire, pull back some petals for a more natural look. 8. Let the flower dry for several hours on the board before dusting with petal dust of your choice. Use a more concentrated amount in the centre and more sparingly towards the outer petals.